The Sky-Watcher Dobsonian Telescope 153mm/1200mm (6") have a "paraboloidal" primary mirror to eliminate spherical aberration and a four-arm, secondary- mirror bracket with fine supports (0.5mm thick), to reduce diffraction spikes and light loss. 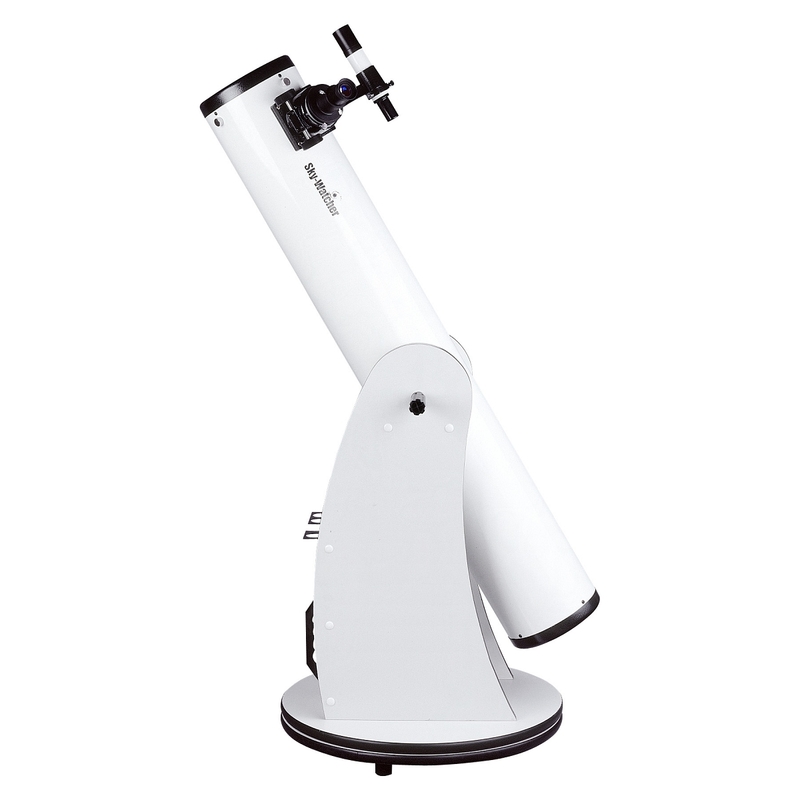 In addition, this models include a 2" focuser with a 1.25" adapter, allowing the use of either eyepiece size. This models also include the new feature-tension control handle. The Dobsonian mount usually relies on the friction between the side bearings on the optical tube of the telescope and a frictional material on the saddle to hold the optical tube in place. If there is too much friction, the telescope is difficult to move to center an object in the filed of view. If there is too little friction, the telescope will not sty where it is positioned. 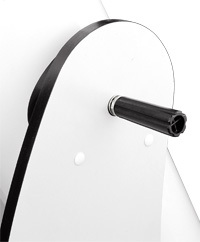 This makes stabilizing the optical tube of the telescope difficult when using a Dobsonian mount, especially when accessories, such as a finderscope or an eyepiece, are added to the optical tube. As long as the amount of friction is at an appropriate level, and therefore stabilization of the optical tube is achieved, the telescope can remain in its desired position to view an object and maintain its position even when the mount is rotated.